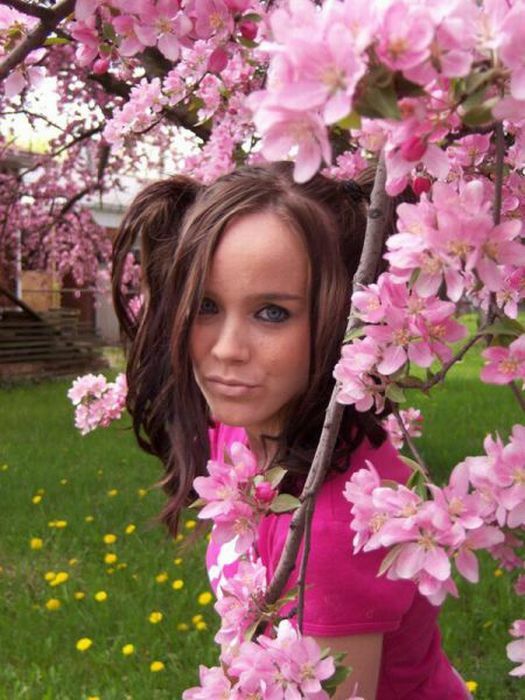 Amber lost her leg in 2004 due to osteosarcoma, a bone tumor. But the girl is still enjoying every moment of her life. I love what she does with her Halloween costumes. Very creative. My homage to her will the last few drops of whiskey I can shake out of every bottle. So....what's the deal with the horse in the ground? Shopped, Her leg changes in the last pic. Lol! Didn't notice the horse in the ground 'til you mentioned it! If I could xero, I would. But then again, I'd hit that too, if I could. So what if she's missing a leg? I'm glad having only one doesn't impede her from looking her best. Not shopped, different brace for her stump. That last picture isn't 'shopped, it's just reversed. You can see that her tattoo is on the opposite shoulder in relation to a couple of the other pictures. Some people with no disabilities don't have as much fun as her! I agree #17.. hence hats off u her attitude..
Good to see her enjoy life with a positive attitude. Nice post, positive. I didn't notice that horse at first, went back to find it, Ha! 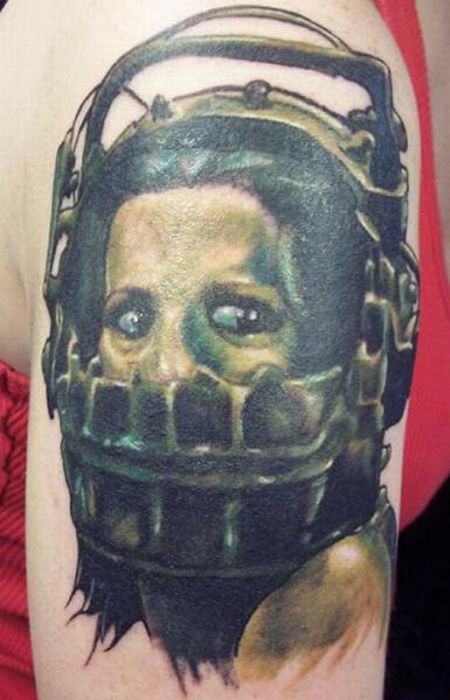 I'm very disturbed by her tatoo.... a torture scene from a Saw movie - WTF! Cool, or just messed up in the head. I think I'd vote for the latter. of course. why shouldn't you enjoy life. there is a fighter pilot in the Navy with only one leg who just graduated. there is a lot she can do. i have a friend with one leg! they should date! if they have a baby will there baby only have on leg? I guess you weren't aware that it is possible to swap the orientation on a photograph? Unless that's what you meant by shopped?